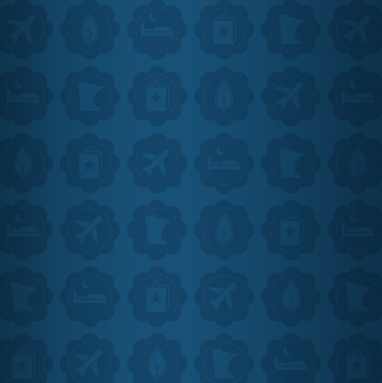 The list of things to do in Minnesota is endless, and since Bloomington is so central to the metro area, everything is easy to get to. Whether you’re looking to explore more of the Twin Cities or want a day trip away from the hustle and bustle, these quick day trippin’ getaways are perfect for your visit. 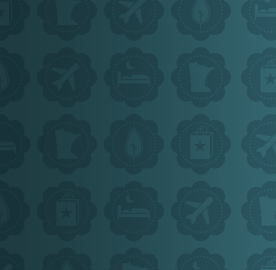 Find 40 hotel options offering free parking and shuttle service to Mall of America®. Believe it or not, you don’t need to go to the West Coast to get a complete winery experience. Minnesota has numerous vineyards and wineries with tours and tastings that are perfect for a day trip away, and many of them aren’t far from the metro area. The best way to view some of our vineyards is through the Winery Passport from the Minnesota Grape Growers Association. With this $25 passport, you get 10 free wine tastings from any of the 35 participating wineries involved with the association. The passport doesn’t expire until you’ve visited all 10, and since the wineries involved are so spread out, you can make a weekend trip of it and visit a few locations, or plan to come back later to finish off the passport. The wine that is barreled changes seasonally at many of our wineries as well, so a visit next season could be entirely different. Some of the wineries involved include Parley Lake Winery, Two Rivers Winery, Willow Tree Vineyard and Winery, Saint Croix Vineyards and Alexis Bailly Vineyard, among others. Northeast Minneapolis is one of the hottest neighborhoods near downtown and is only 15 miles north of Bloomington. While there are a number of sites to see and things to do in Northeast, the taproom culture and popularity of craft breweries are what make this neighborhood so exciting. There are a plethora of breweries with taprooms waiting for you to try a taste of their latest concoctions, and some locations even have complimentary tours. Beyond the drinks, a number of taprooms will also let you bring in your own food—either packed with you or purchased from some of the food trucks that tend to congregate around the area. For a getaway from the city, visit the town of Excelsior—a quaint and relaxing location with a small town feel. The charm of the neighborhood comes from its lakefront view, as the center of this town is nestled against the edge of Lake Minnetonka. Excelsior, Minnesota by Todd Buchanan Rent a boat on the lake for the day or lounge by the beach where you can catch the water sparkling. Even if the weather is crisp with fall air, the waterline still has a beautiful view, and walking the open docks gives you the chance to feel the wind in your hair. There are plenty of delicious bites to grab as well. Visit Maynard’s for classic lake fare or stop by Yumi’s Sushi Bar for contemporary Japanese bites. The Excelsior Brewing Co.’s taproom is open, too, so grab a pint and try a local craft beer. Finish your evening by strolling the streets of Excelsior that are filled with local boutiques and shops. Located only 18 miles northwest of Bloomington, making a day trip to Excelsior is quick and easy. For an adventure-filled trip, Cannon Falls is your stop. Named for the scenic falls running along the Cannon River, this gorgeous town is all about nature. For beautiful and natural views, the Cannon Valley Trail follows alongside the river and is perfect for an afternoon of hiking. Other activities are just as available, too: Bike, hike, canoe or take it easy outdoors in this getaway town. Bike and canoe rentals are available if you haven’t brought your own equipment. If you’re looking to explore more of the town, The Cannon Falls Commercial Historic District is filled with 22 historically significant structures and plenty of history. Stroll the streets and pick from a number of delicious dining options if you get hungry. It’s an immersive experience into what it takes to grow grapes and make fine wine. You will visit both the winery and the vineyard, pick grapes yourself and later see them crushed and stomped before they’re turned into wine. The event also includes an al fresco catered meal and transportation throughout the day.